On Monday 4 September, the Department of Communications, Climate Action & Environment (the Department) formally announced the commencement of a “final consultation” for a new subsidy regime for renewable energy, to be known as the Renewable Energy Support Scheme (RESS). A link to the announcement of the consultation is located here. It is expected that RESS will create a ‘technology-neutral’ subsidy and broaden the coverage of renewables subsidies to a range of new sources, including Solar PV. This anticipated diversification should help the Irish government to meet its legally binding target of ensuring that 16% of Ireland’s energy requirements are met through renewables by 2020. What are current renewable energy subsidies? Current renewable energy subsidies in Ireland are heavily dependent on the Public Service Obligation (PSO) levy which taxes electricity customers and uses the funds generated to incentivise and develop renewable energy (primarily wind and biomass) as well as peat. While the PSO generates a support mechanism of close to €500m per year, the anticipated reduction and removal of the existing peat subsidy in 2018 (currently accounting for €124m) will result in a greater allocation of subsidies for renewables. What renewables will be covered by RESS and how might it operate? 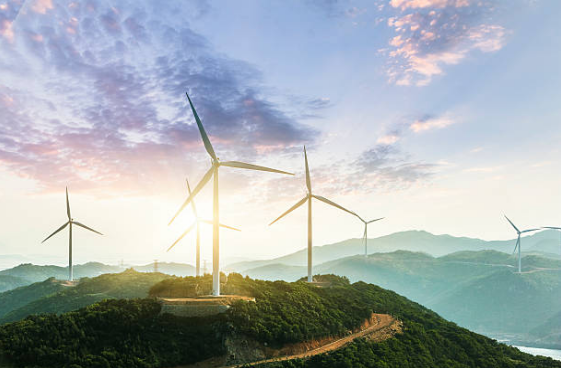 The Department’s accompanying guidance to the consultation stresses that RESS will be designed in a way that treats all types of renewables equally, with the goal of creating a more balanced renewables strategy. Traditional sources of renewables in Ireland have been wind and biomass and so it is expected that the adoption of a ‘technology neutral' approach will help to create a level playing field in which other renewable sources, such as solar PV, can also thrive. Ireland’s renewable energy sources have historically been supported by a Feed-in-Tariff (FIT), being a price-based support mechanism, designed to provide full remuneration by guaranteeing renewable energy sources for electricity a €/MWh fixed payment for each unit of electricity produced during a fixed / pre-determined period. Initial indications suggest that RESS may move away from this historical format towards a Floating Feed-in-Premium (FIP), being a varying €/MWh premium, calculated as the difference between the strike price and the reference market price which will vary over time. A move towards a floating FIP scheme would be reflective of a wider European trend with FIP schemes currently being used by countries like Denmark, Finland, Germany, Italy, the Netherlands and Spain. A place in the sun for solar PV? Despite the lack of any subsidy to date, over 500 applications have been submitted to ESB Networks for the connection of solar PV projects in Ireland, with a total export capacity of over 6GW. It is widely expected that the application of the next generation of renewables subsidies to solar PV will result in the rapid development of the sector in Ireland. The Department’s accompanying economic analysis to its RESS Consultation provides numerous positive indications that solar PV projects will benefit from RESS. Indeed, the Department notes that they expect the scale of solar PV development in Ireland to be considerable due to its potential and its limited presence to date, relative to other European countries. Whilst it has been argued that the historic FIT support was more favourable to the development of wind energy projects, those involved in the wind energy sector will welcome some clarity from the Department on the future of supports for Irish wind energy. The Irish Wind Energy Association will no doubt be making submissions to the Department during the consultation process to promote and protect their members' positions. The Department's consultation is due to close on 3 November 2017. We expect that further developments will emerge over the coming months. For more information please contact Philip Daly, David Brangam or Jamie Ritchie in the Energy & Natural Resources team at LK Shields.